In 1960, audiences went to the theaters and watched The Magnificent Seven, a Western that stars Charles Bronson, Eli Wallach, Steve McQueen, James Coburn and a lot of other great actors. However, the leader of the Seven and the most memorable character is Chris, the black-clad gunslinger played by Yul Brynner. 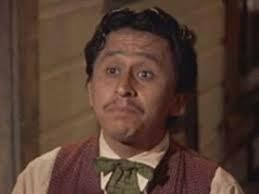 It was an iconic role and a memorable character for anyone who loves Westerns, but it could not be known that this character would live on in different incarnations and different genres. There have been many characters that have graced the screen in multiple films, but it is possible that none of them have a journey similar to this one. The 1960s had sequels. There was James Bond movies, Derek Flint movies (starring Coburn) and Matt Helm movies. However, there were not many Western sequels. 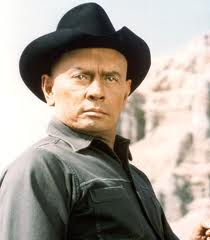 Well, Yul Brynner as Chris showed up in Return of the Magnificent Seven, which came out in 1966. 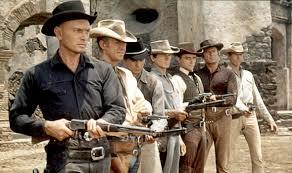 More “Magnificent Seven” movies were made, but Brynner abandoned the role. At least, people thought he abandoned the role. In 1973, he donned the black hat in Westworld, a movie about a futuristic theme-park where people can play out their fantasies with robots. This time, the gunslinger is not the hero. He is a robot in the middle of a robot overthrow. As people are killed across the park, Brynner chases Richard Benjamin, the last surviving human. Once again, he is the most memorable character. Westworld was a hit, and it begat another film. Futureworld came out in in 1976, and the gunslinger came back to life. I may be wrong, but that could mean that Chris the Gunslinger is the only character to appear in two different pairs of sequels. I started thinking about this because the character has made a return. The other night, we watched the 2016 version of The Magnificent Seven. 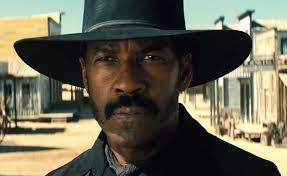 This one stars Denzel Washington as the man in black who brings together a collection of tough guys to help out the citizens of a farming town. His name is not Chris, but it is the same character. However, that is not the only time 2016 brought the gunslinger to new audiences. Westworld is an HBO show inspired by the old movie. In this one, Ed Harris plays a gunslinger in a black hat. However, he is human. He is not the character. In an homage to Yul Brynner, the gunslinger is seen standing in an old underground lab. Apparently, he has been taken offline. That may be true of the robot, but I am not sure it is true about the character. After all, how many characters have spanned the world of movies and television for 57 years? It looks like this gunslinger cannot be killed. Robots have filled the imagination of humans for decades, and they have slowly become reality. We have machines that can work for us and build other machines. However, when most people imagine robots they don’t think about an arm programmed to put a part on a car. They think about something that walks, talks, thinks, and, on some level, can be our personal helper and companion. It is something like us but not like us. As scientists and engineers have developed robots for the real world, writers and filmmakers have developed the robots of our imagination. With that in mind, I have put together a list of five robots from sci-fi and popular culture that were memorable to me. You won’t find anything from Star Trek or Star Wars (I know. They are androids and droids. In my mind, Data, C-3PO, R2-D2 and any other form of moving around intelligence is a robot. ), but you will find some creations that are memorable and some that are obscure. Gunslinger – Westworld is part of an adult-oriented theme park where people can live out their fantasies. There are areas based on the Roman Empire, a medieval castle and an Old West town. Robots populate the parks and guests can interact with them as if they were human. Believe me, when I used the terms “adult-oriented” and “fantasies” I mean it. Anyway, Gunslinger operates in Westworld and is the fastest draw in the West. Played by Yul Brenner and based on his character in The Magnificent Seven, he faces off against park guest Richard Benjamin. When a malfunction strikes the theme park, the robots go out of control, and Gunslinger tries to really kill Benjamin. The robot chases the human through each historical era, and Benjamin knows he’s in trouble as he sees the bodies of other guests. He eventually defeats Gunslinger and escapes back into the real world. Robot – A simple name for a great character. 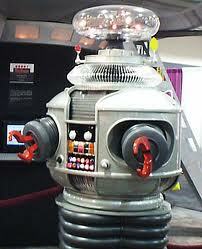 Lost in Space is one of my favorite shows, and Robot is my all-time favorite, uh, robot. People remember Robot as the best friend of Will Robinson; as the hero of many episodes; and as the nemesis of Dr. Zachary Smith. As time passed, the show focused less on the rest of the Robinson clan and more on the relationship of these three characters. 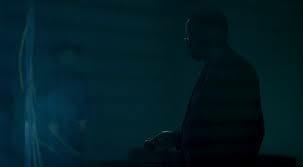 However, people may not remember that Robot started out as a bad guy working with Smith to destroy the mission. That’s why they ended up “lost in space”. Robot soon redeemed himself, but those early dark episodes remain my favorite. 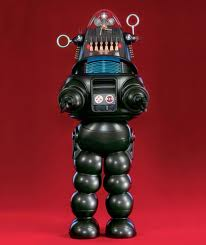 Robby the Robot – Built in 1955, Robby the Robot is the first in a long line of robotic characters and may be the most recognizable. Billed as himself, Robby starred alongside a pre-comedic Leslie Nielsen in Forbidden Planet, the sci-fi classic. In subsequent years, he appeared in Lost in Space to battle with Robot; in television shows such as Hazel, Twilight Zone, The Many Loves of Dobie Gillis, and Mork & Mindy; and in movies like Gremlins. Through this time and through the creation of new and more stylistic robots, Robby remains the king of them all. Twiki – Buck Rogers in the 25th Century was one of television’s many attempts to build upon the success of Star Wars. It starred Gil Gerard and Erin Gray. 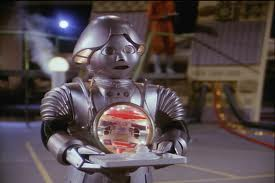 However, the light-hearted aspect of the show (actually, there were a lot of light things about it) came from Twiki. Admittedly, I didn’t watch this show very much and looked at Erin Gray a lot when I did. However, this little dude entertained me. Played by Felix Villa and voiced by Mel Blanc, this guy was always getting into trouble but also helped Buck get out of trouble. He was the perfect companion in the tradition of old western stars, Gabby Hayes and Andy Devine. 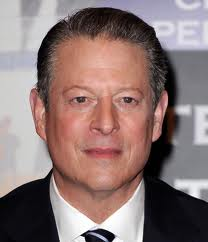 Al Gore – I know it’s an old joke. But, his family comes from a town not far from here, and he is a distant relative of mine. Also, he works out of Nashville, and one of my good friends is his personal assistant. I think that gives me a break on using a tired joke. Besides, he looks kind of like a robot. Despite the look of a robot, there are other clues to his robot self as well. 1. He invented the internet and is an expert in global warming despite the fact that he has no known scientific training. He has also gone from being almost bankrupt after the 2000 election to being a millionaire hundreds of times over. These have to be signs of immense artificial intelligence. 2. He shows no emotion unless someone disagrees with his stance or he is in a massage parlor. 3. He claims to be from Carthage, Tennessee, but no one can remember his childhood in that town. It’s like he was suddenly created. Of course, that could be a sign that he is not from Tennessee at all but is actually a product of Washington, D.C.
That, my friends, is a list of five famous and not so famous robots. Are there any robots out there that you would consider your favorites?